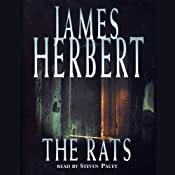 Steven Pacey has narrated a number of James Herbert’s novels, including the Rats series in abridged form, and James’ last novel, The Ghosts of Sleath, in an unabridged edition. 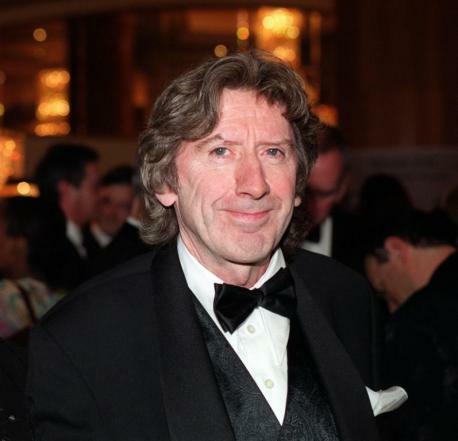 James Herbert, OBE was born on April 8, 1943 in the East End of London, the third son of street traders. As a child he would sit in the playground and tell stories to the other kids, but his great passion was for drawing and painting. Age 28 he began writing a novel and ten months later he had completed The Rats, conjuring a London overrun by mutant, flesh-eating rodents. Submitting the manuscript to six publishers, he received three replies. Two publishers rejected the novel, one wisely accepted it. 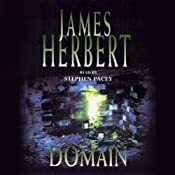 His thriller/horror books are sold in thirty-three other languages, and he is often described as one of the most influential and widely imitated authors of our time, selling over fifty million copies worldwide. 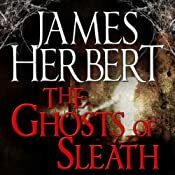 James Herbert died peacefully in his bed at his home in Sussex on the morning of March 20th, 2013, aged 69. Touching tributes from his many friends and fans also underlined his great contribution to popular culture. It was only when the bones of the first devoured victims were discovered that the true nature and power of these swarming black creatures with their razor-sharp teeth and their taste for human blood began to be realised by a panic-stricken city. For millions of years, man and rats had been natural enemies. But now for the first time, suddenly, shockingly, horribly, the balance of power had shifted. The mutant white rat had grown and mated, creating offspring in its own image. They dominated the others, the dark-furred ones, who foraged for food and brought it back to The Lair. Now the dark rats were restless, tormented by a craving they could not satisfy. But the white, sluglike thing that ruled them knew. Its two heads weaved to and fro and a stickiness drooled from its mouth as it remembered the taste of human flesh. The long-dreaded nuclear conflict arrives. The city is torn apart, shattered, its people destroyed or mutilated beyond hope. For just a few, survival is possible only beneath the wrecked streets, if there is time to avoid the slow-descending, poisonous ashes. But below, the rats, demonic offspring of irradiated forebears, are waiting. They know that Man has weakened, become frail – and has become their prey. The Caleighs have had a terrible year. They need time and space, while they await the news they dread. Gabe has brought his wife, Eve, and daughters, Loren and Cally, down to Devon, to the peaceful seaside village of Hollow Bay. He can work, and Eve and the kids can have some peace and quiet – and perhaps they can try, as a family, to come to terms with what’s happened to them. 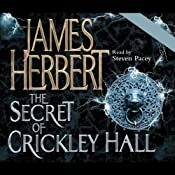 Crickley Hall is an unusually large house on the outskirts of the village at the bottom of Devil’s Cleave, a massive tree-lined gorge, the stuff of local legend. A river flows past the front garden. It’s perfect for them, if a bit gloomy. And Chester, their dog, seems really spooked at being away from home. And old houses do make sounds. And it’s constantly cold. And even though they shut the cellar door every night, it’s always open again in morning. 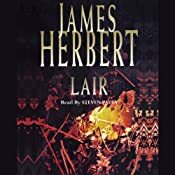 David Ash, detective of the paranormal, is sent to the mysterious Comraich Castle, secluded deep in the Scottish countryside, to investigate a strange, high-profile case. A man has been found crucified in a locked room. The reports suggest that the cliff-top castle is being haunted…. Who or what is the reclusive hooded figure that Ash has seen from the window walking across the courtyard in the dead of night? What are the strange, animal-like sounds that come from the surrounding woods? And why are the castle’s inhabitants so reluctant to talk about what they have seen? What Ash eventually discovers is truly shocking…. Steven’s reading of Ash was longlisted for the Sounds of Crime Awards, 2013. A ghostly twist. Three nights of terror at the house called Edbrook. Three nights in which David Ash, there to investigate a haunting, will be victim of horrifying games. Three nights in which he will face the blood-chilling enigma of his own past. Three hideous nights before Edbrook’s dreadful secret will be revealed…And the true nightmare will begin.to the surface, tormenting him, refusing to let him rest. The memory of what he once had been. Menace awaits. Sleath. Quiet, peaceful. A small village hidden away in the Chiltern Hills, almost forgotten by the modern world. Nothing much seems to happen here; little disturbs the centuries-old tranquillity. 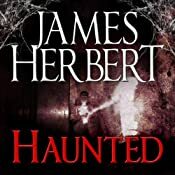 Until the ghosts begin to appear and frighteningly bizarre events start to occur. 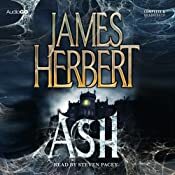 Psychic investigator David Ash, a man burdened by the dark secret of his own past, is sent to Sleath to investigate the phenomena and his discoveries there drive him to the very edge of his own sanity. The incidents grow worse until, in the final night of horror, awesome and malign forces are unleashed in a supernatural storm that threatens to consume the village itself. For Sleath is not what it seems. And the dead have returned for a reason.